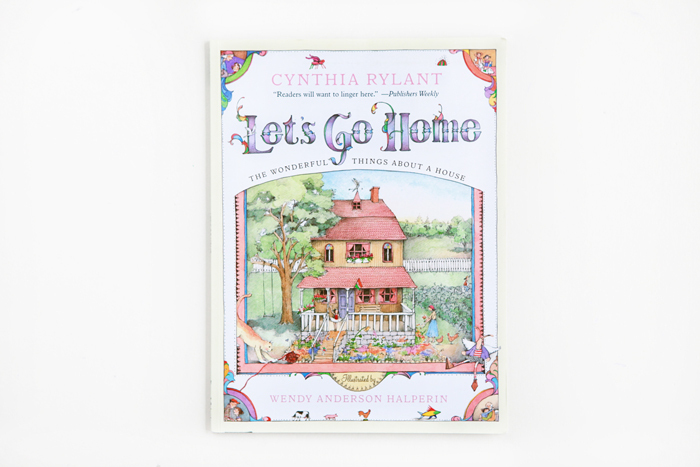 Let's Go Home is like a warm hug--which definitely makes it a cozy bedtime read. It teaches kids what their home means to them. The beautiful old house featured in the book was inspired by illustrator Wendy Anderson Halperin’s own home in Interlochen, Michigan. "There are many kinds of houses in the world, from little cottages to big mansions, from farmhouses to bungalows. But no matter the kind of house, it is the living inside that makes it wonderful, what happens in each room that makes it marvelous. It is what the house means to those who live there. " "And when people are far away from home, feeling lonely and missing things, often it is their sweet, wonderful kitchens they miss most of all. And as soon as they come home, this is where they want to be, with a nice warm scone, and a cup of tea, and someone to kiss them kindly on the head. " Reading that last paragraph reminded me of being away in college and missing the familiar smells of my own kitchen back home. I'm such a fan of Cynthia Rylant's work--her books speak so well to children and to those of us who were once children.